Basler not only offers the best-suited cameras for fluorescence applications. 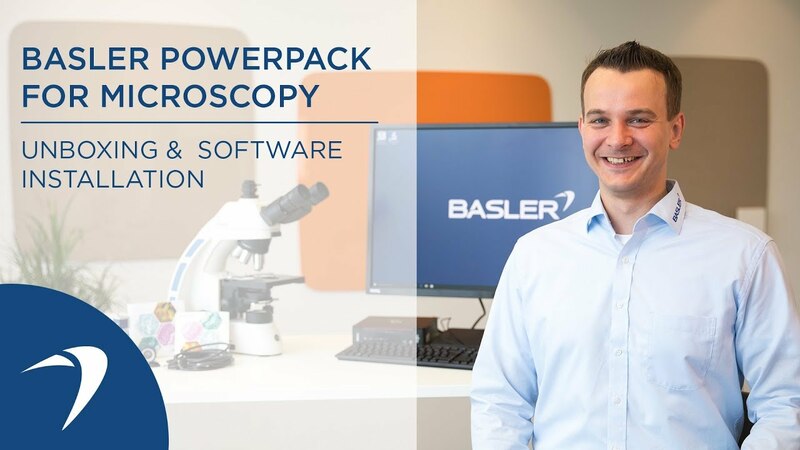 The Basler Microscopy Software included in the Microscopy PowerPack also considers the professional workers using the equipment. The graphical user interface of the Basler Microscopy Software can be switched to a dark skin mode, to reduce the light emissions from the display towards the sample. This feature also reduces the user eye fatigue and stress when working in a dark environment. 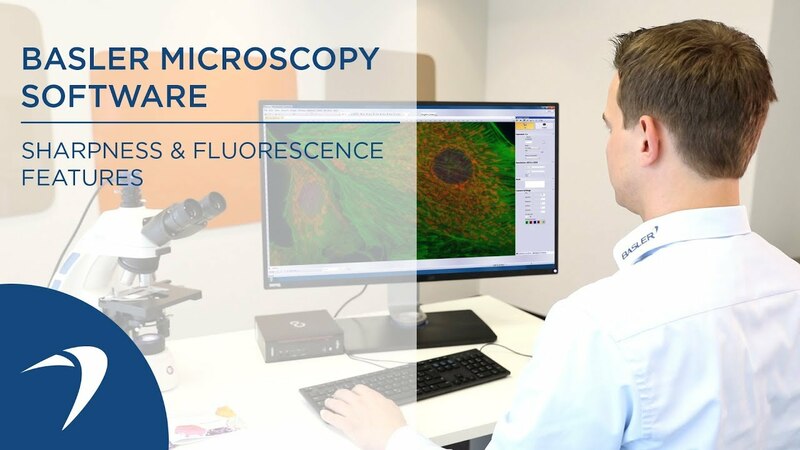 To make fluorescence imaging more convenient and to save the user´s valuable time, Basler has integrated color presets for the most common fluorescence markers. For quick access, these presets are placed right below the camera settings and can be activated with one click. As standard settings, these presets are available in green, red, blue and orange. However, users can also configure the color presets to their own requirements and redefine the divisions of the color gradient. Images with this pseudo coloring feature can remain as a greyscale image for further processing in other applications, or they can be saved as a color image as they appear in the software window. 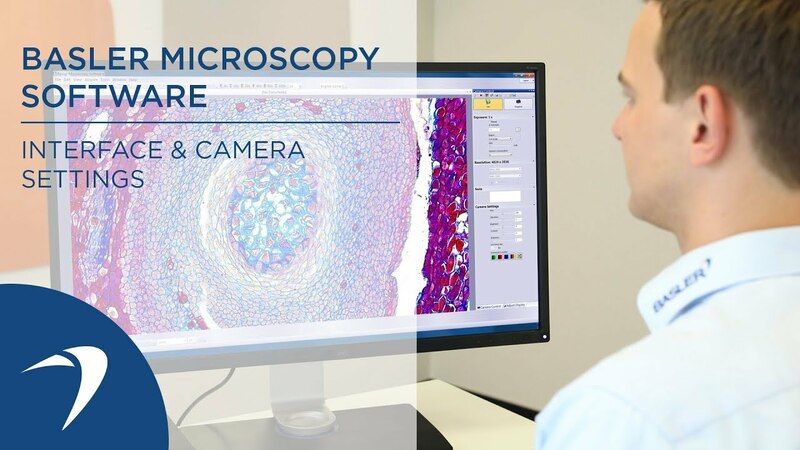 The Basler Microscopy Software includes a first-of-its-kind sharpening feature to optimize the image for depth of focus. When the magnification is high, the user chooses one depth level to put in focus. Other image areas remain blurred. The patented algorithm ensures that the user can bring more sharpness into the entire picture. Unlike other manufacturers´ products, this in-camera image optimization feature works without affecting the speed of the camera or the real-time image transmission. While in automatic exposure, users of the Basler Microscopy Software can adjust the target brightness of this automatic function. If an even more bright and shiny white is needed, users can get perfect results when setting an offset to the default values. To prevent oversaturated or overexposed images, the default values work just fine or can be set even lower. Through saving the settings, the user saves valuable time. For stereomicroscopes, a dropdown menu to change the magnification level has been implemented and placed into the menu bar. 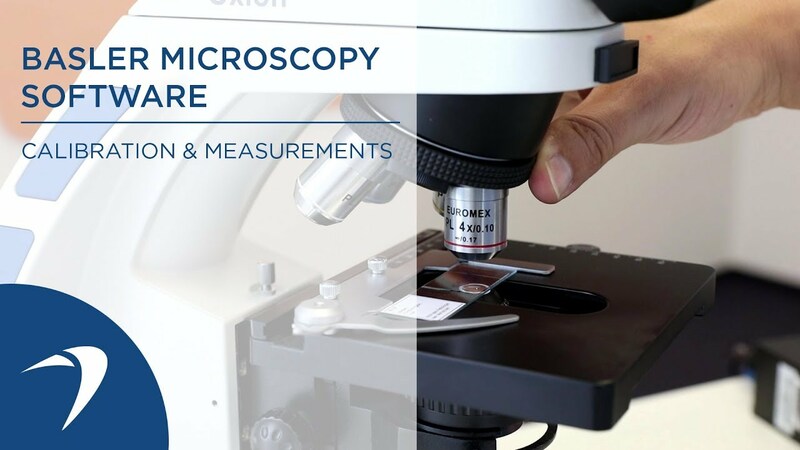 With this feature, the zoom level can be adjusted smoothly to the settings of the chosen stereomicroscope. Magnifications are supported from 1x zoom up to 13,5x zoom, adjustable in small-increment steps. Fluorescence Imaging: Image taken with the Basler Microscopy ace 5.1 MP Mono of a Bovine Pulmonary Artery Endothelial Cells (BPAEC) with MitoTracker™ Red CMXRos, Alexa Fluor™ 488 Phalloidin, and DAPI.